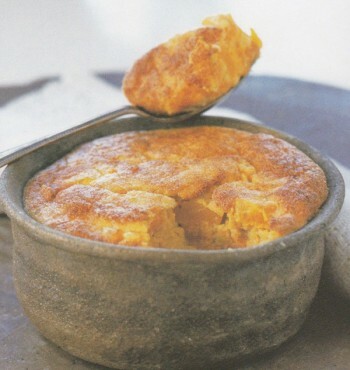 This sweet potato, pumpkin and corn souffle makes a great side dish. Few things are more synonymous with a particular culture than its cuisine. Dining at an ethnic restaurant or experimenting with regional flavors in the comforts of your own kitchen are great ways to experience foreign cultures. 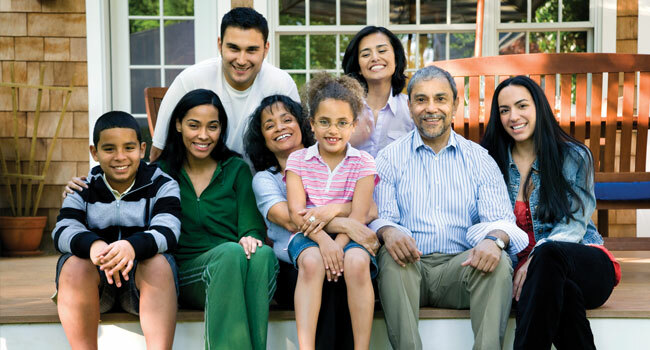 When it comes to Hispanic cuisine, familiar staples like tacos and burritos may be most familiar to non-Hispanics. But traditional Hispanic delicacies are much more than tortilla-wrapped dishes or fried doughs. Take, for example, "Corn Souffle" from "The Complete Mexican, South American & Caribbean Cookbook" (Metro Books) by Jane Milton, Jenni Fleetwood and Marina Filippelli. Souffles may be instantly associated with French cuisine, but this Latin American take is just as tasty. It won't rise as much as its French counterpart, but the texture will still be light and airy. 1. Preheat the oven to 350 F. Using 1 tablespoon of the butter, grease an 11x7-inch baking dish. Cook the sweet potato and pumpkin in a pan of lightly salted boiling water for 10 minutes, until tender. Drain and set aside. 2. Put 11/2 cups of corn kernels into a food processor. Add the chopped scallions and process until smooth. Melt the remaining butter in a pan and stir in the corn-and-scallion mixture. Cook, stirring, over a low heat, for about 1 to 2 minutes. 3. Add the cheese, stirring until it has melted. Season generously with salt and pepper. Remove from heat. 4. Separate 3 of the eggs and add the remaining 2 eggs to the bowl containing the yolks. Mix lightly, then stir the yolk mixture into the pan. Add the sweet potato, pumpkin and remaining corn. Whisk the egg whites until stiff, then fold them into the souffle mixture. 5. Transfer the mixture to the prepared dish and place the dish in a roasting pan. Pour in hot water to come halfway up the side of the dish and bake for 35 to 40 minutes, until golden. If the souffle still wobbles when shaken gently, cook for another 5 to 10 minutes. Leave to cool, then serve. Tip: For the best results, whisk the egg whites with a pinch of salt in a clean glass or metal bowl. When they are very stiff and no longer slide around the bowl when it is moved, they are ready for use.